Testosterone enanthate is an oil based injectable steroid , designed to release Testosterone slowly from the injection site (depot). Once administered, serum concentrations of Testosterone enanthate will rise for several days, and remain markedly elevated for approximately two weeks. It may actually take three weeks for the action of Testosterone enanthate to fully diminish. 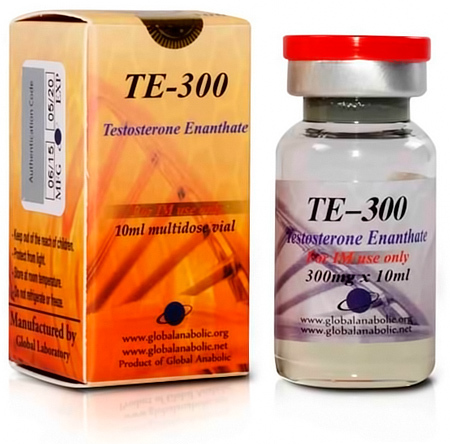 For medical purposes Testosterone enanthate is the most widely prescribed Testosterone, used regularly to treat cases of hypogonadism and other disorders related to androgen deficiency. Since patients generally do not self- administer such injections, a long acting steroid like Testosterone enanthate is a very welcome item. Therapy is clearly more comfortable in comparison to an ester like Testosterone propionate, which requires a much more frequent dosage schedule. Testosterone propionate has also been researched as a possible male birth control option Regular injections will efficiently lower sperm production, a state that will be reversible when Testosterone propionate is removed. With the current stigma surrounding steroids however, it is unlikely that such an idea would actually become an adopted practice.